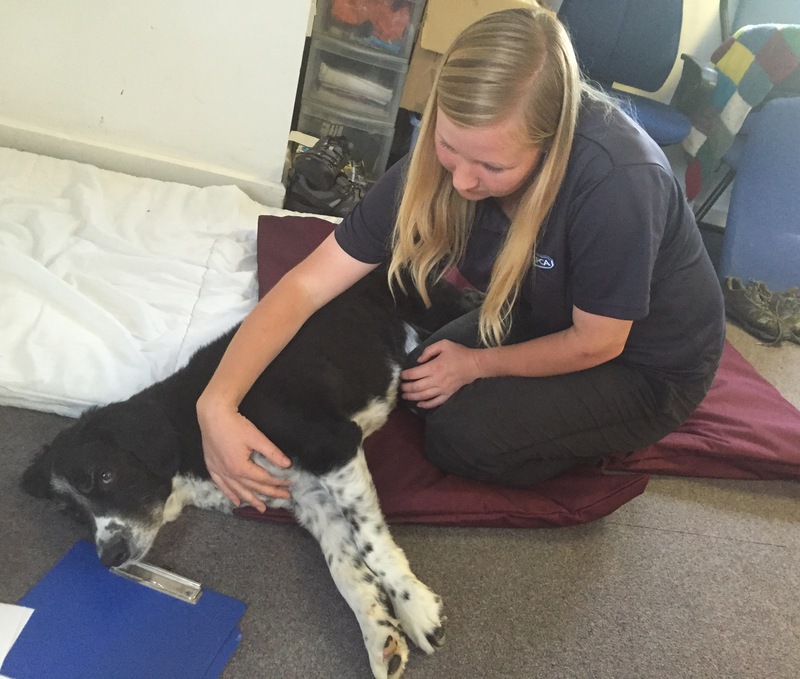 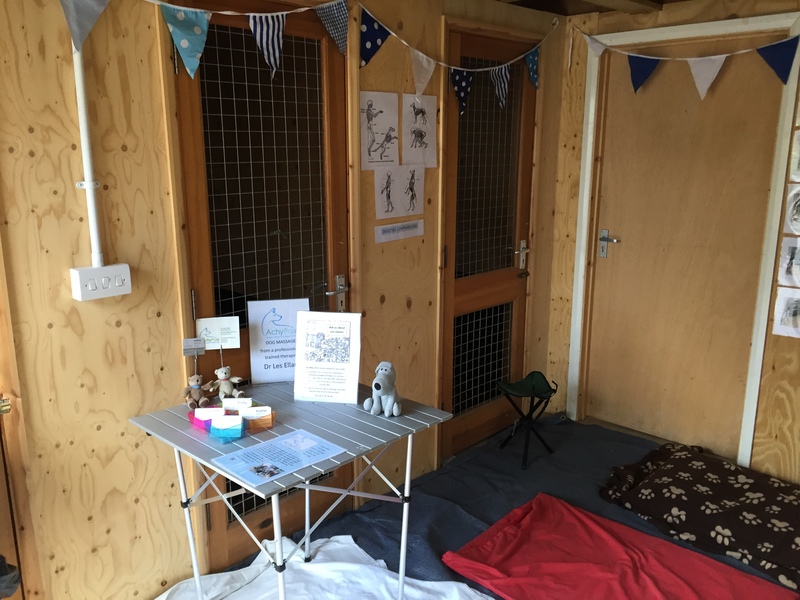 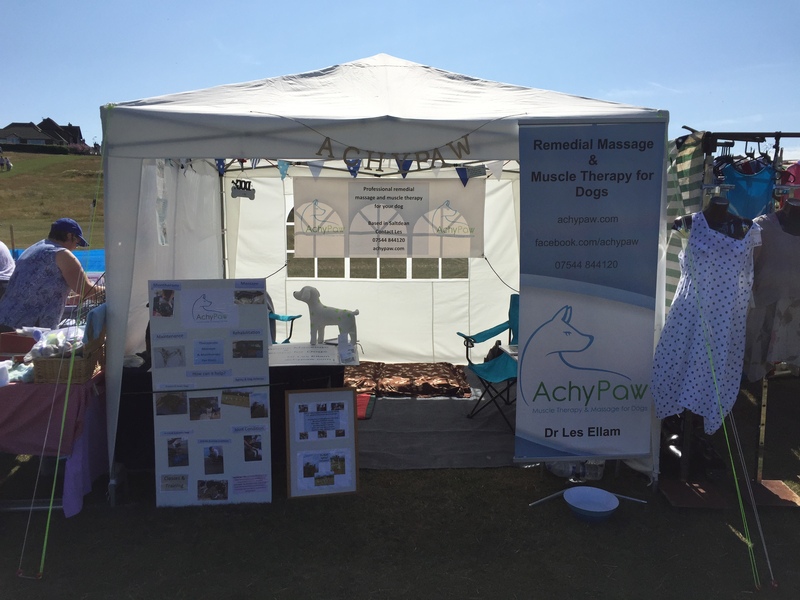 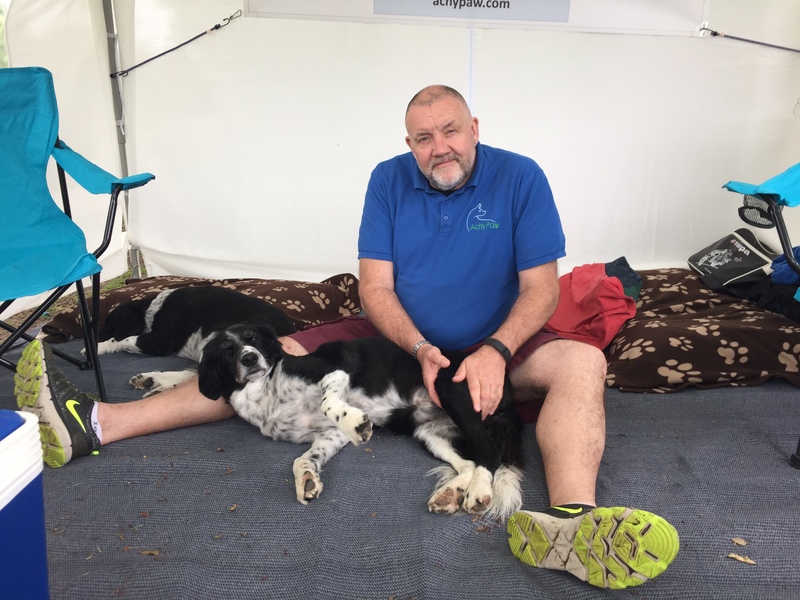 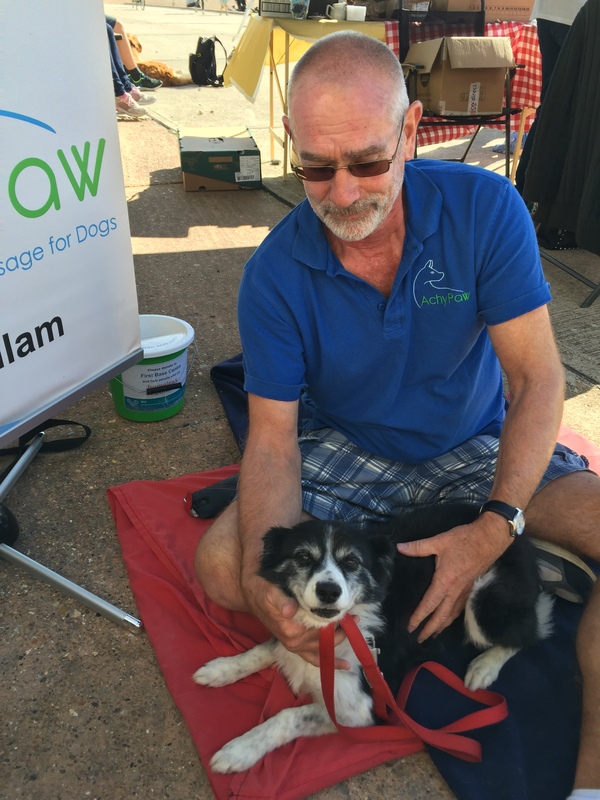 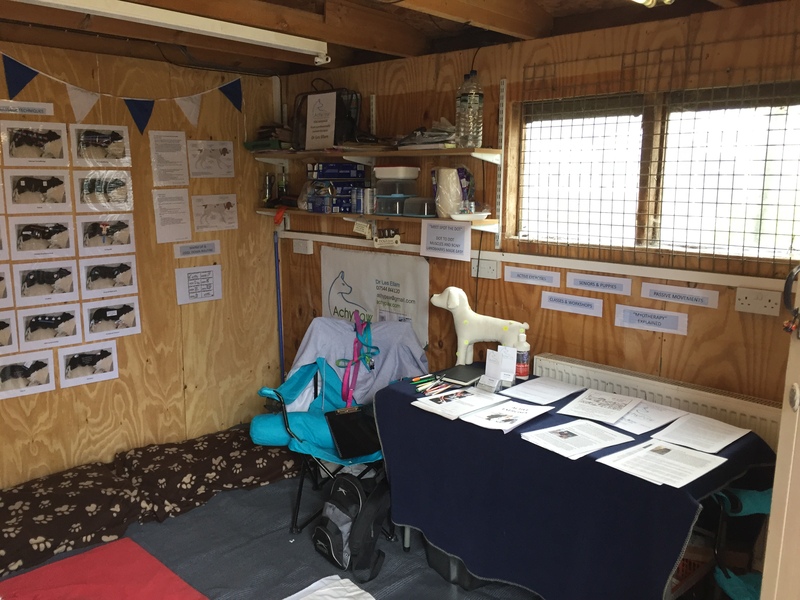 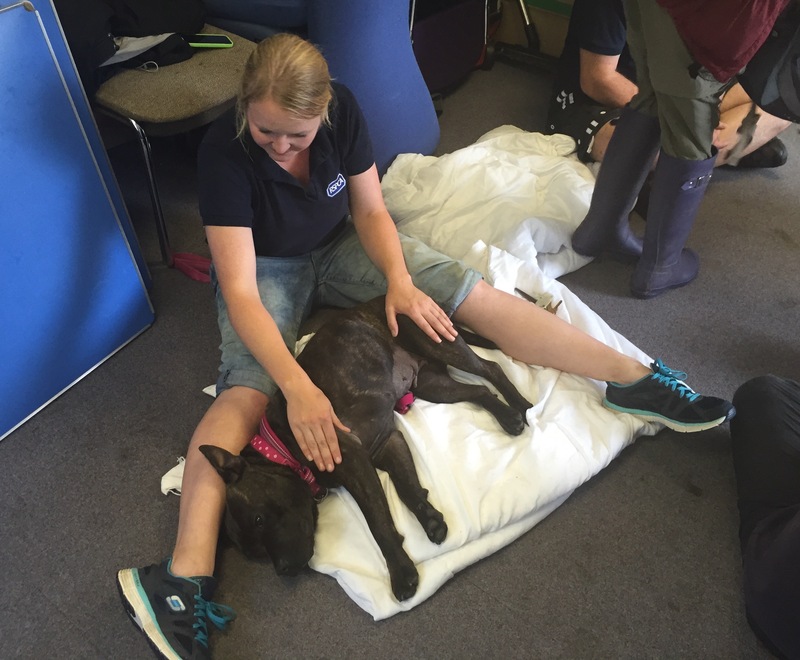 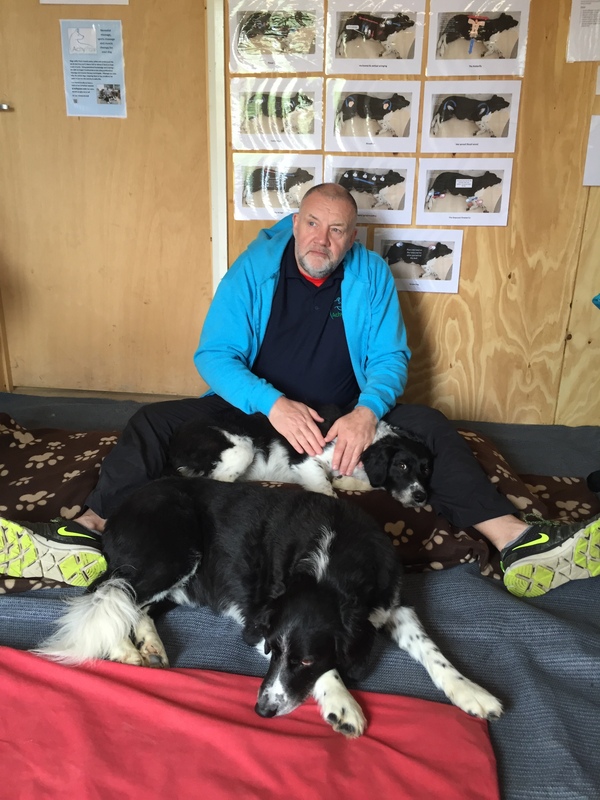 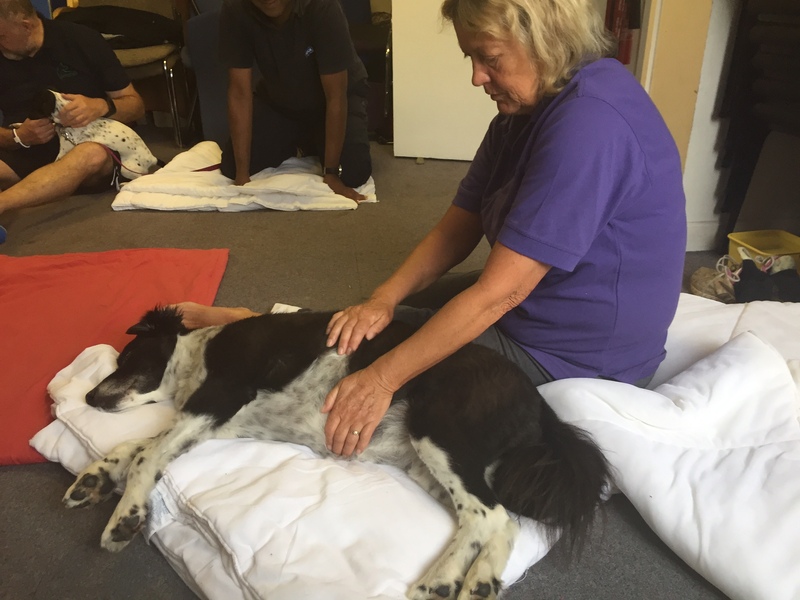 During 2015, we held a series of workshops hosted by Paws, Play & Stay Dog Hotel introducing some of the theory and practical skills needed to massage your own dog throughout the year. 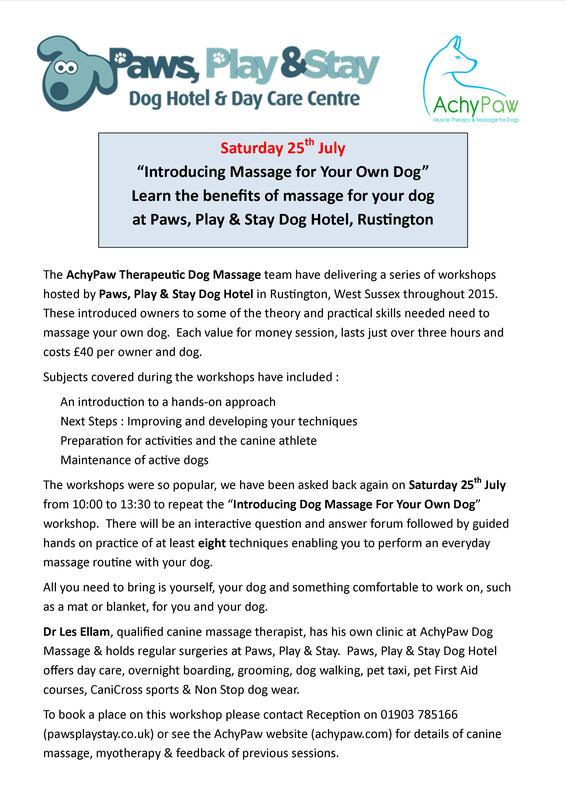 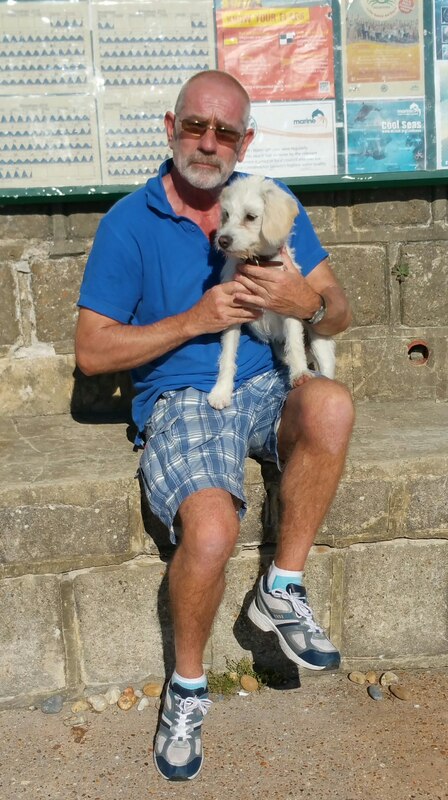 Each session, lasting just over three hours, cost £40 per owner and dog, is fully hands on and great value for money. 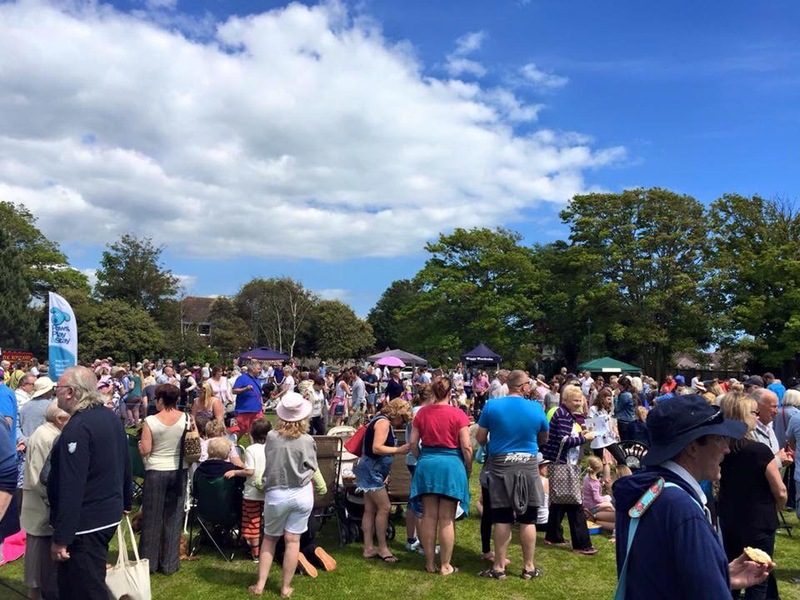 See the reviews, pictures and feedback from these events here. 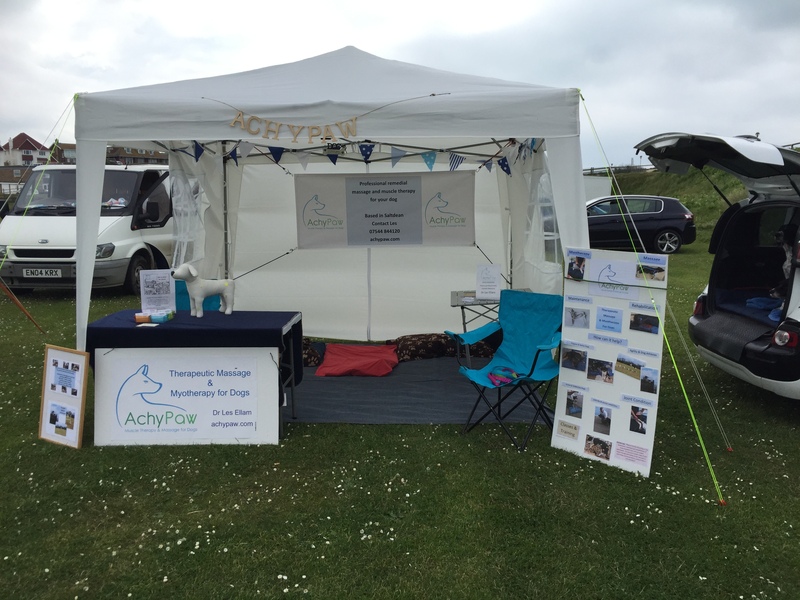 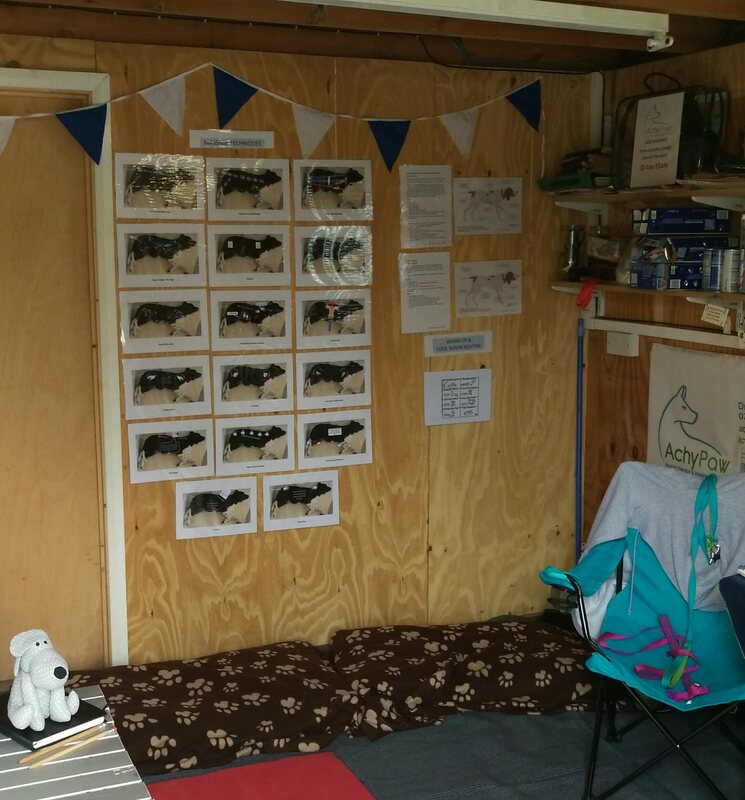 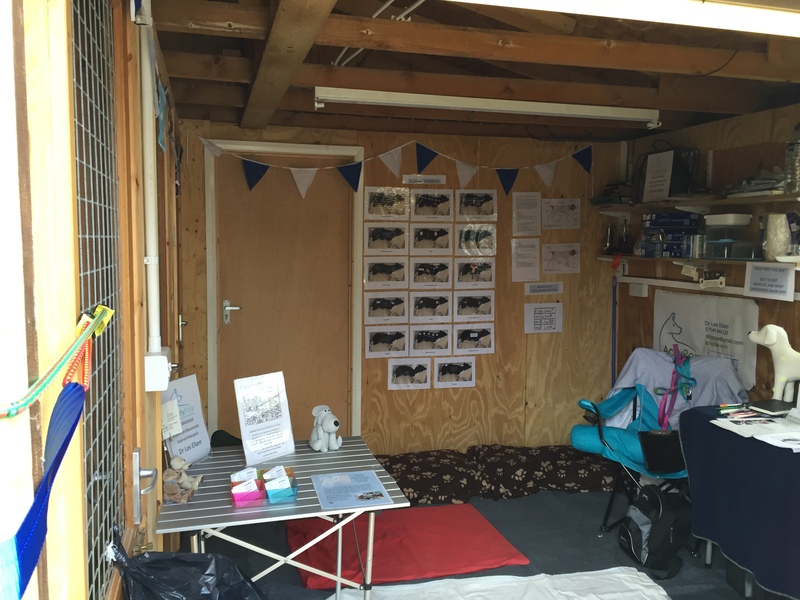 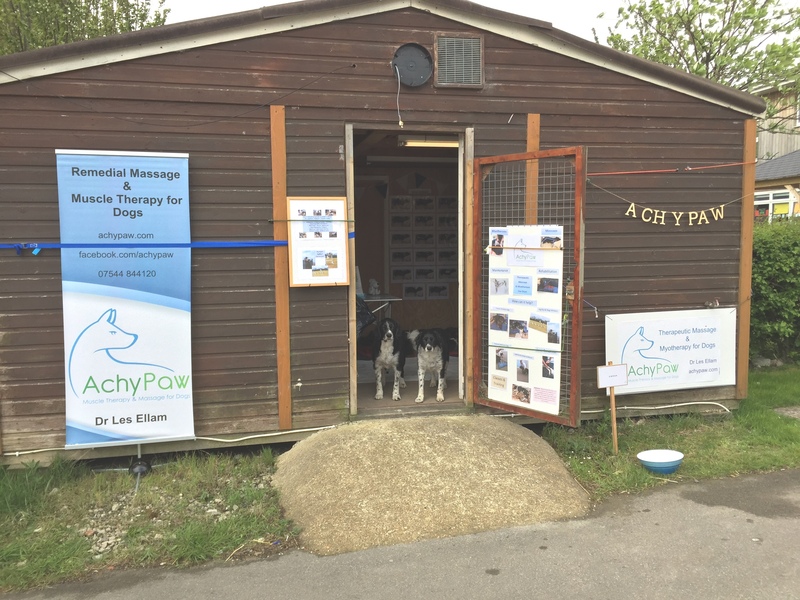 Plumpton College Open Day 2015 – where we took over the Grooming Salon again for AchyPaw Plumpton. 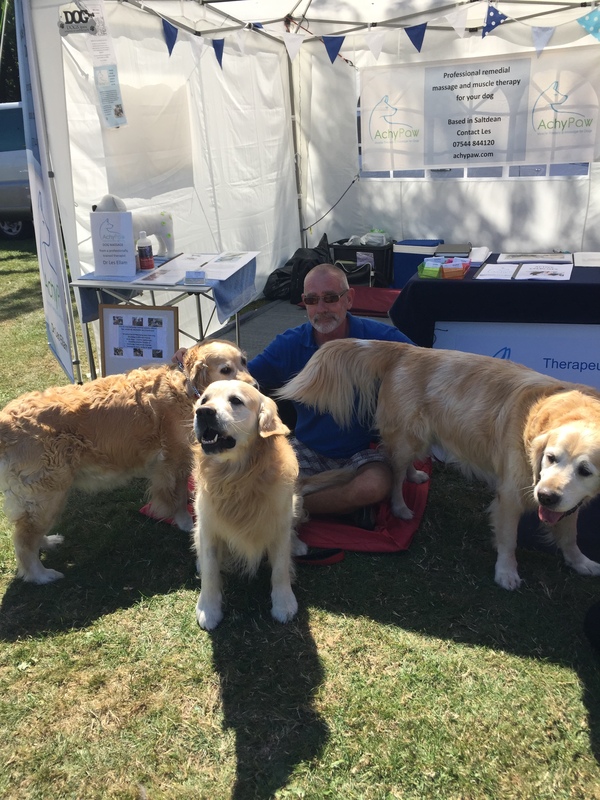 We were visited by the Goldies. 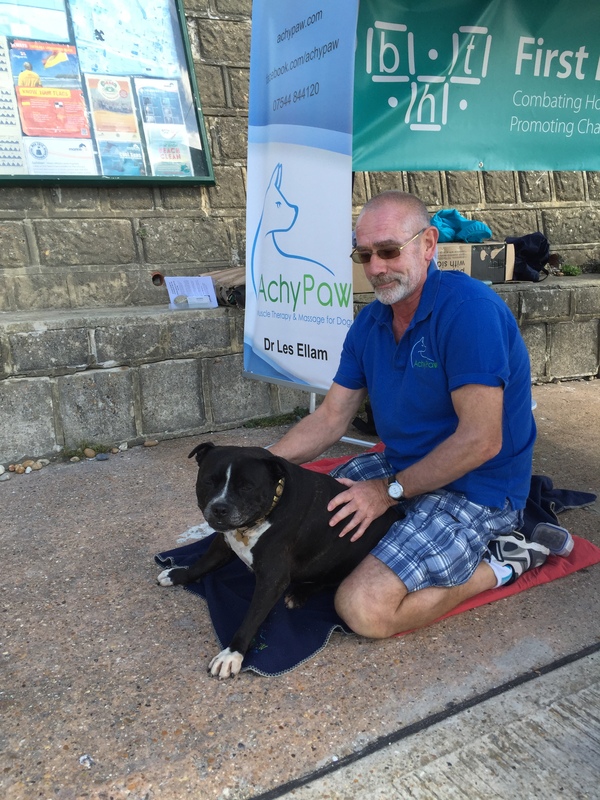 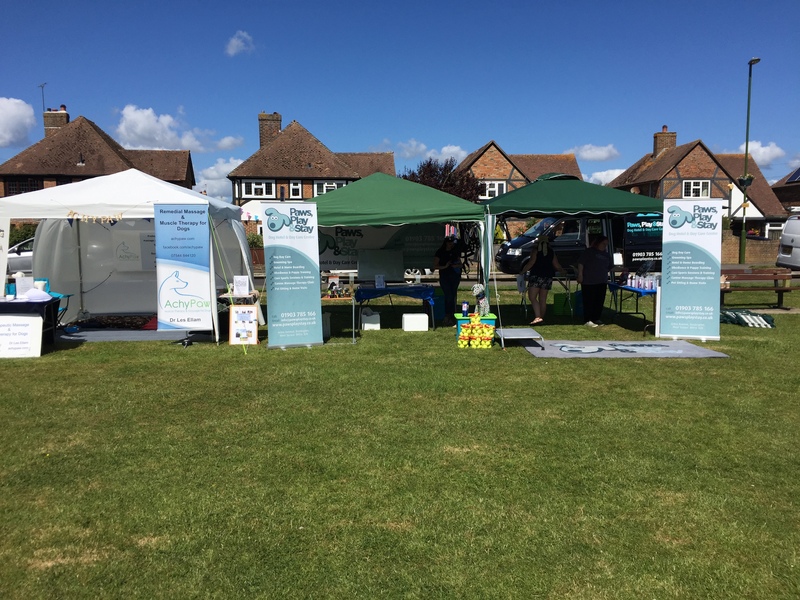 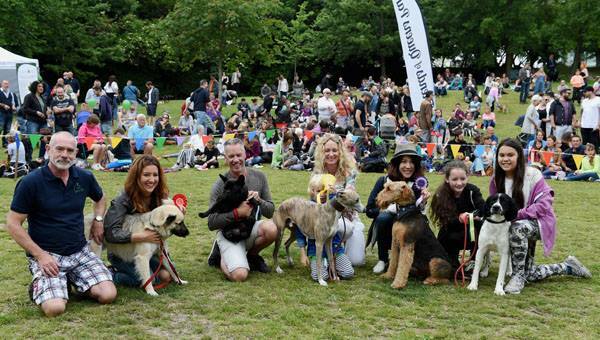 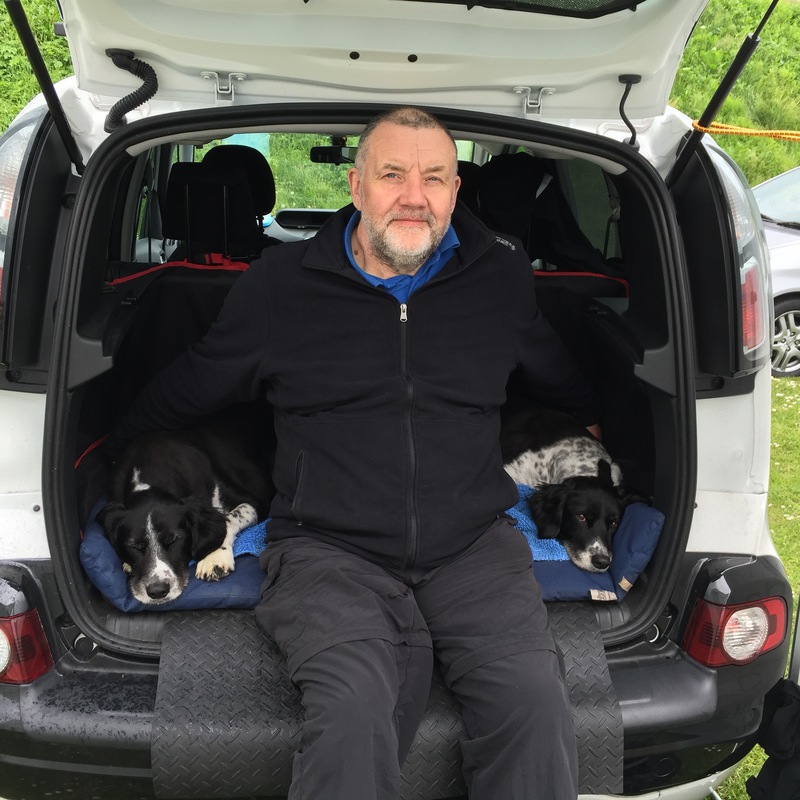 “Let’s Go Walkies” sponsored dog walk for BHT, Brighton where we offered cool-down massages to all 4 legged participants in return for a donation to the charity.